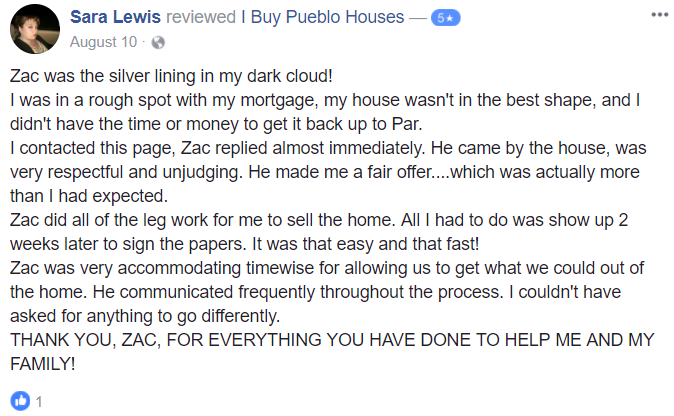 You have come to the right place we buy houses in the Pueblo and Pueblo West areas and we pay cash! We will buy houses in any area- any condition- and any situation! I Need To Sell My House Pueblo!We at I Buy Pueblo Houses work differently. We will provide you a fair all-cash offer on your house within 24 hours of submitting the short property info form below and can close when you want to close. If the house is in terrible shape and you don’t want to (or can’t) fix it up… NO problem, we’ll deal with it for you. If you need to get something done quickly, we can close in as little as 7 days because we buy houses with cash and don’t have to rely on traditional bank financing.Fill out the short form below and get your cash offer ASAP! -Selling Your Home “As-Is”. If you have a home in need of repair many times we will buy the home without expecting or asking the owner to make the necessary improvements to close the sale of the home. -Cash Offers. 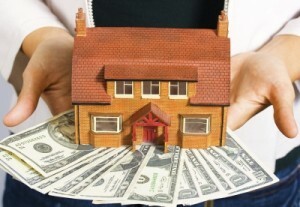 Real estate investors like me offer to buy homes with cash. With today’s low appraisal rates and a mounting number of restrictions on new mortgage loans making home buying more difficult selling to an investor offering cash makes the process much easier. -Faster Closing on the Sale. A cash offer on your home can close in a matter of days as opposed to a matter of months. There is no waiting for the buyer’s lender to finalize terms with the buyer and no waiting for confirmation from banks on the transfer of funds. Things that come up in life are not always under your control, but you do have the power to decide what you are going to do in the face of the lemons that were just handed to you. Sometimes, what seems to be a great fortune turns out being something that you really didn’t expect. An example would be when someone inherits a property from distant relatives who has passed away. Initially there is the surprise of an unexpected gift, which soon becomes a bigger project then one can handle. I Need To Sell My House Pueblo!The amount of work — and money — involved in improving a property’s condition can be overwhelming. These are the kinds of situations where it might make good sense to sell a property to a real estate investor. Increasing Crime Rate: The crime rate in your neighborhood may have escalated to a point where your family isn’t safe. Job Loss: Also, you may have lost your job thus you are no longer in a capacity to meet your mortgage payments. Debt: You may also be in debt i.e. you owe a company or someone money yet you are unable to meet your repayment obligations. If you debt is more than the value of your house, you may be forced to sell your house. Divorce: This is another common eventuality that may force you to sell your house. Couples are expected to split property by half if there are no prenuptial agreements. In case you are going through a divorce and you fail to agree with your partner who should take the house, you might be forced to sell your house against your will. Relocation: Whether you decide to move or you are forced to relocate because of work reasons or military deployment, you need to do something with the house your leave behind. I Need To Sell My House Pueblo Call us Now at 719-299-0741! Fill Out The Form Below Or Call Us Now To Sell Your House Fast! Pingback: Cash For Your House Pueblo- We Buy Houses!